Christian Kromme is a futurist, entrepreneur and author of the bestseller book Humanification. He gives inspiring keynotes about the impact of technological developments on organisations and society. More than 80,000 inspired people a year. An average rating of 9.2 for his keynotes. Christian Kromme was an innovative tech-entrepreneur for 15 years until he discovered the DNA behind disruptive innovation and how to use this to predict the next big wave of technological disruption. Now Christian is one of the most in-demand global futurist keynote speakers, speaking in front of tens of thousands of entrepreneurs, business leaders and policymakers about the radical impact of disruptive technologies on humans and organisations. Main reason why organisations book Christian is because of his unique human centred approach. 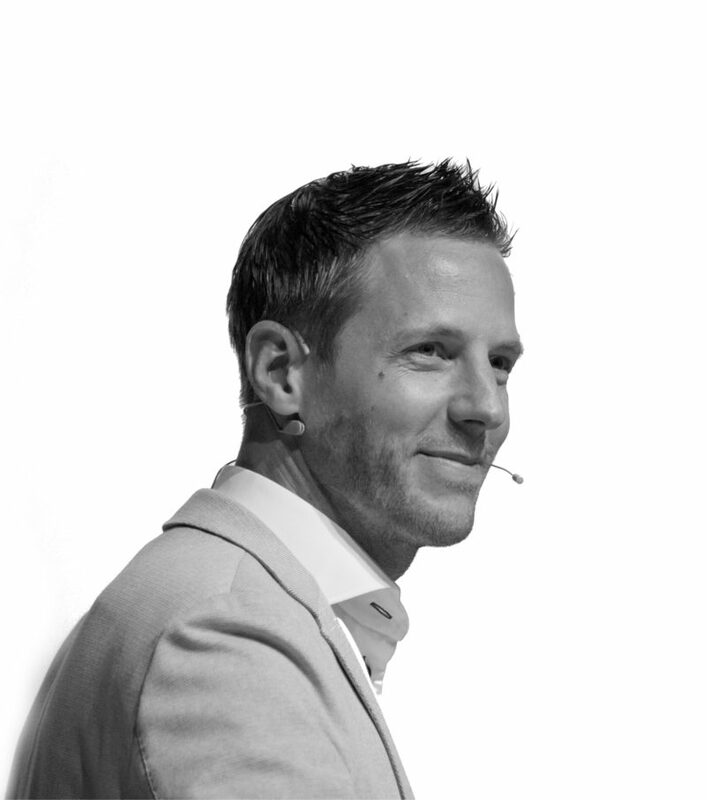 Over the years Christian Kromme has helped many companies with his keynotes and his bestseller book Humanification as an inspirator. This keynote challenges people and organisations to think and act exponentially to turn technological and disruptive threats into disruptive and human centred opportunities. The future of work? The upcoming trends in your industry? Christian Kromme shows you the positive opportunities that technological innovation brings to us as humans. The role of Artificial Intelligence on humanity, society and companies is the core element in this keynote. After this keynote, you will know how to apply Artificial Intelligence on a human-centered level in your organization. In 2011 Christian made a unique discovery. During the search for his daughter's health, Christian discovered seven unique wave patterns in the development of leving cells and biological organisms. The seven wave patterns form the basis of disruptive technological trends, such as artificial intelligence, internet of things, self-driving cars and blockchain technology. Through these patterns Christian is able to predict technological trends. I spoke about the impact of artificial intelligence on the notarial profession. During my speech, His Royal Highness King Willem-Alexander sat in the front row. In May 2018 I was honored to provide the opening keynote at the HR TECH MENA Summit in Dubai UAE. And the keynote was rated excellent by the audience and the organization. This bestseller should not miss any entrepreneur, leader or policymaker. Imagine that you can recognize the next big trend, or that you can predict the next big wave of change. Imagine that you have a code that gives you the power to make the next major technological discovery. Humanification is going to help you unlock the DNA of innovation itself, so you can apply it to your life, your business and your community.